Thick, creamy, and rich in protein, skyr is the traditional yogurt of Iceland. 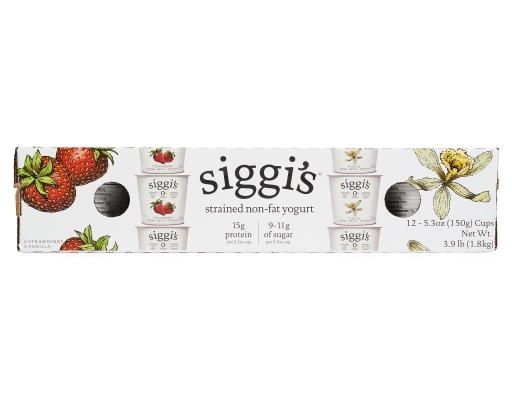 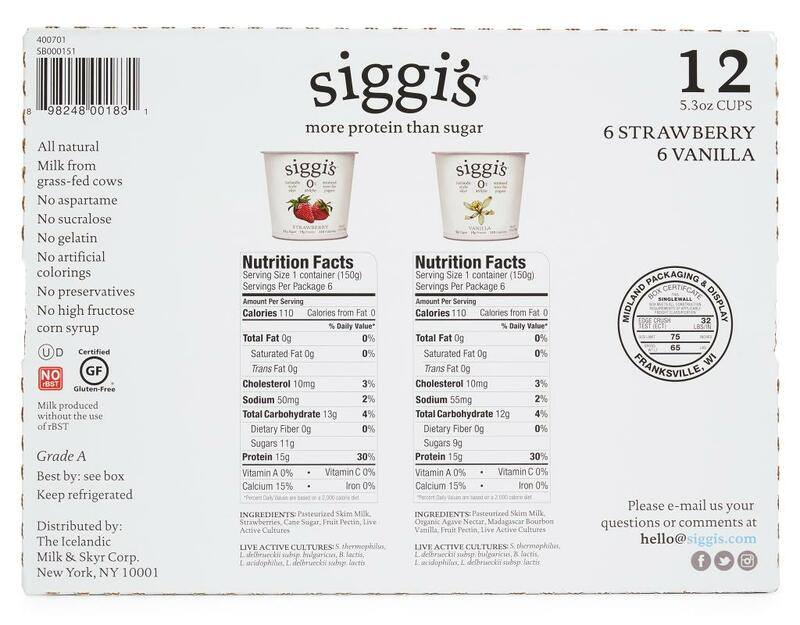 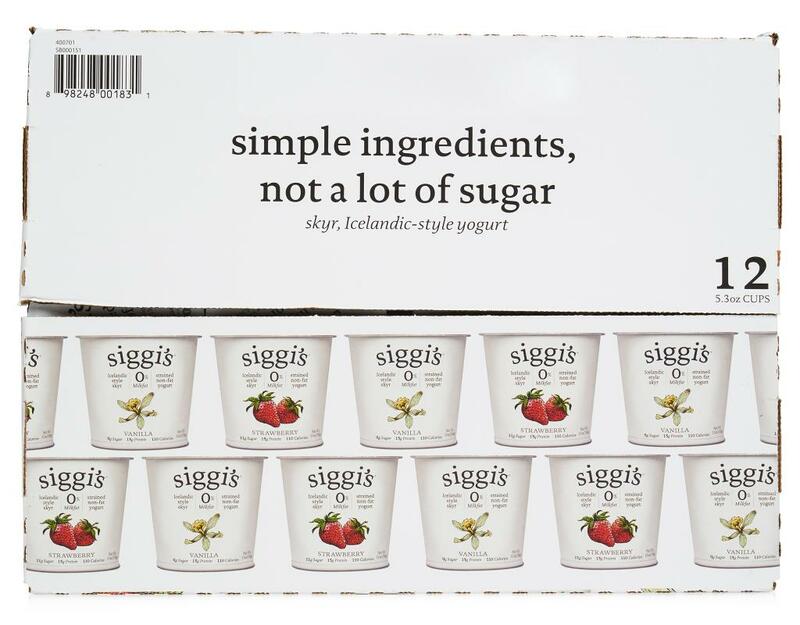 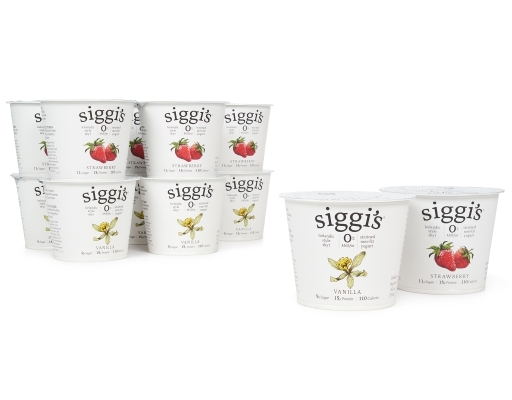 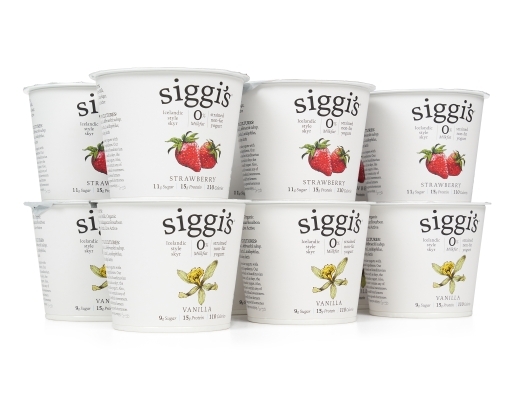 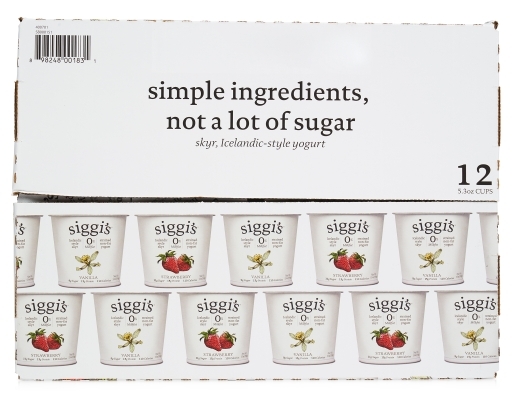 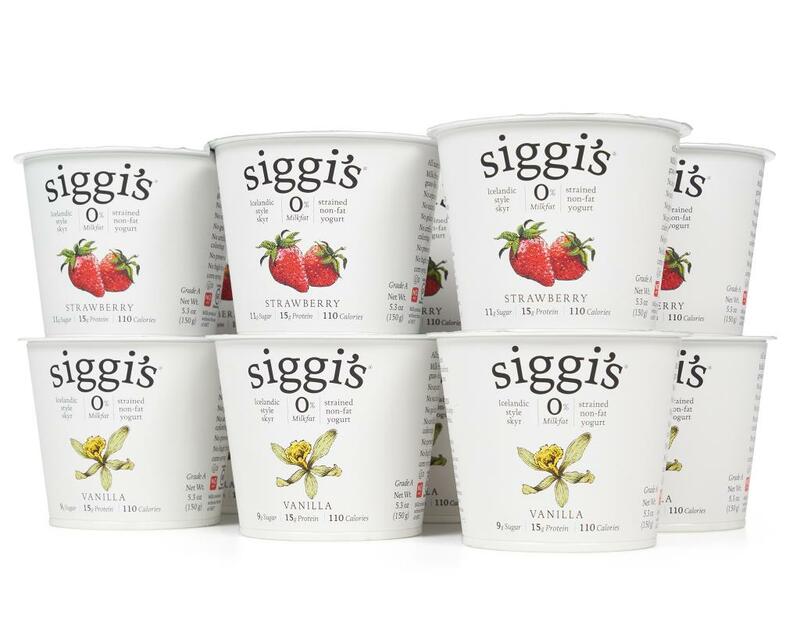 siggi's skyr is made with simple ingredients and not a lot of sugar. 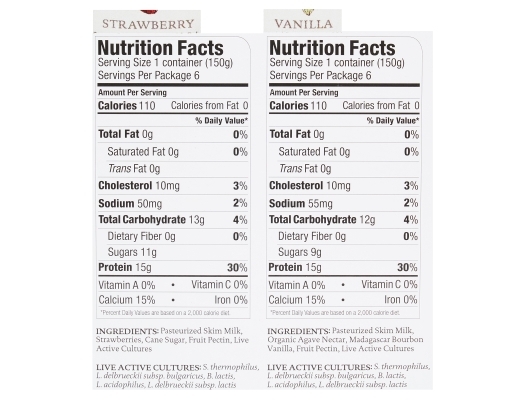 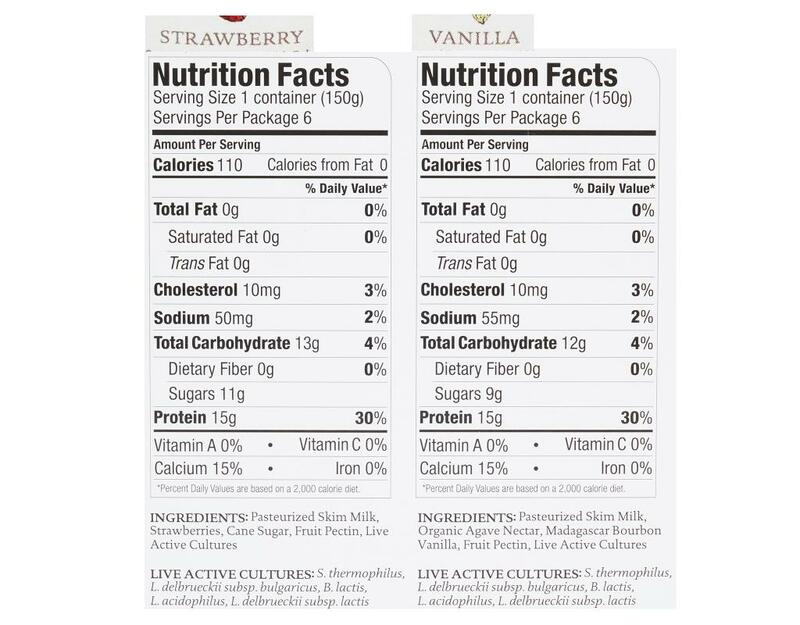 Strawberry: Pasteurized Skim Milk, Strawberries, Cane Sugar, Fruit Pectin, Live Active Cultures. 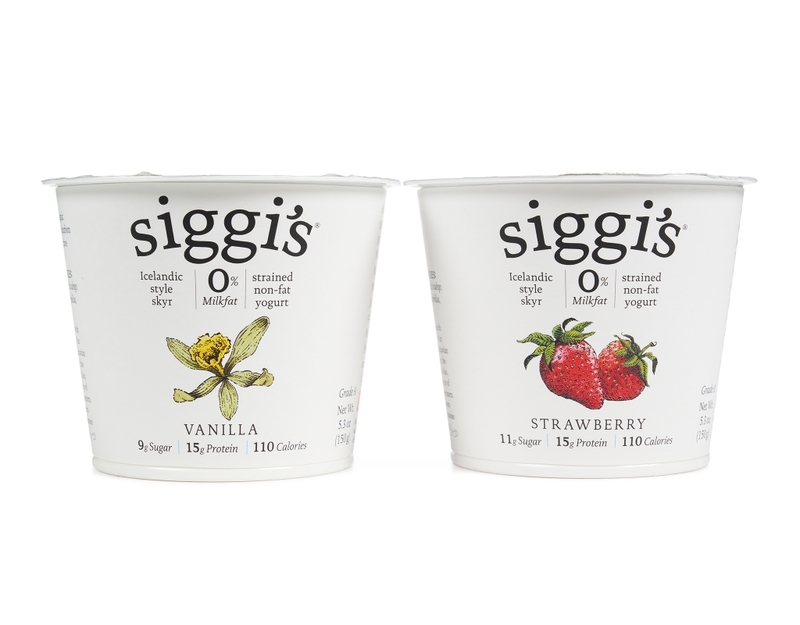 Vanilla: Pasteurized Skim Milk, Organic Agave Nectar, Madagascar Bourbon Vanilla, Fruit Pectin, Live Active Cultures.